Here's a little chuckle for you for the weekend. Those of you that harbor ill will for my friend, Bill Lobdell, because he's the messenger of some news you don't particularly want to hear will get a kick out of this. 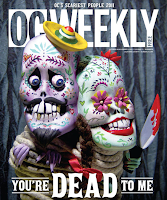 The OC Weekly, in it's "OC's Scariest People 2011" edition yesterday, HERE, included Bill in their roster. Included in the roster are Scott Evans DeKraai, the accused mass murderer at the Seal Beach salon and the entire Fullerton Police Department and three members of the Fullerton City Council for the Kelly Thomas beating death. Bill is snuggled between "Those Prosecuting the 'Irvine 11' and Octomom, Nadya Suleman. Lobdell was a legend with the Los Angeles Times as its religion writer and wrote a critically acclaimed book about his experience. But when Lobdell couldn't adjust to the realities of the new digital age, he went to the other side: not just as a public-relations hack, but as the $3,000-per-week bagman for the city of Costa Mesa, whose City Council is pleading poverty while attempting to outsource hundreds of city jobs. The mind that once antagonized everyone from Robert Schuller to Diocese of Orange Bishop Tod D. Brown is now writing hosannas about the city's proposed belt-tightening and unleashing the same chihuahua-esque snarls against reporters that Catholic Church officials released on him not too long ago. Mitigating Factor: He was the man who confirmed long-whispered rumors that Trinity Broadcasting Network head Paul Crouch paid off a man who claimed the two of them had a homosexual tryst. If nothing else, this should make you smile just a little bit for the weekend. 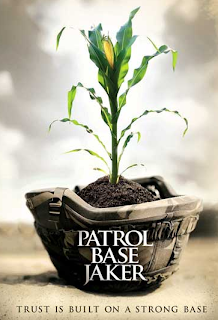 Don't forget - tonight is the movie premiere of Patrol Base Jaker at Triangle Square for our adopted Marine group. Tomorrow, Saturday, there's the C3 basketball tournament at the Downtown Recreation Center and also, from 11:00 to 5:00 there's the Fall Festival, including chili cook off, at the Halecrest Community Center. There's plenty to do this weekend. This afternoon I was informed, on good authority, that Judge Barbara Tam Nomoto Schumann's court has set a trial date of April 9, 2012 in the litigation by the Costa Mesa City Employees Association (CMCEA) against The City of Costa Mesa. According to my source, there has been no other change in the status of the litigation. The preliminary injunction remains in place. This has me w ondering just how fast that old slot machine we have going with several law firms handling this case will be spinning. Five more months for lawyers at Jones Day at $495 per hour for even first year associates doing work on this case - Yikes!. I guess we'll just have to be watching the Warrants closely each month to see who is racking up big bills. It also has me wondering about the RFPs, some of which are now being returned. The injunction prohibits The City from outsourcing City jobs to private firms, so this date may become an anchor that will slow the process to a crawl. In the meantime, the RFPs will begin to stack up somewhere in City Hall, gathering dust, and the layoff notices issued to employees and extended recently will expire again. I also wonder when, or if, we will hear about this date from City sources. Maybe in the next edition of the CEO's E-Briefing, scheduled for release Friday. If you happened to be at Gary Monahan's re-election fund raiser at his gin mill this evening and stumbled across Representative Dana Rohrabacher, I hope you asked Dana about the article from the OC Weekly yesterday, HERE, that tells us that his wife, Rhonda, has been pocketing about half his campaign contributions under the guise that she's his "campaign manager". That's right - about half of every buck you sent to old Dana to perpetuate his more than two dozen years in Congress over the past few months to run his campaign went directly into his joint bank account. 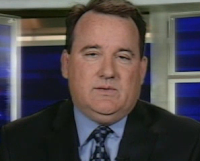 So, as Dana runs up a tab at Skosh's tonight, you're paying a piece of it. With the new congressional districts now approved, it looks like Rohrabacher may actually have to campaign for his seat next year - probably even in the primary. This will be a change for him - he's been a lock for several elections. In case you're wondering, controversy is not new to the Rohrabachers. Before they married and produced triplets the then-Rhonda Carmony was Rohrabacher's campaign manager. You can read all about some of her mis-adventures HERE and HERE. Be sure you look for other familiar names as you scroll through the stories. 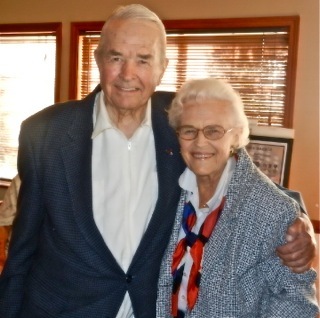 My wife and I just returned from a 90th birthday celebration for our friend - long-time Newport Beach resident, WWII bomber pilot, member of The Greatest Generation and local historian of note - George Grupe, shown here with his wife, Martha. Among the small group in attendance that was regaled by George's many stories was former Costa Mesa mayor Jack Hammett and other WWII heroes. So, I thought it is appropriate to provide you with a little lighter fare today. Filed under the "Lighten Up!" 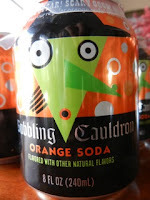 tab, a friend and loyal reader presented me with a gift yesterday - a six-pack of 8 ounce cans of Bubbling Cauldron orange soda that he found at his local Fresh and Easy store. 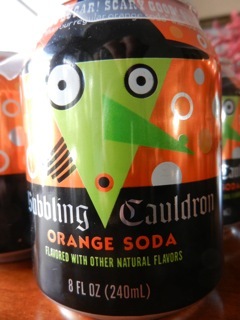 Just in time for Halloween! The public is invited to a premiere screening of Patrol Base Jaker, about 1st Battalion, 5th Marines, the city's adopted Marine battalion. The award-winning movie will be screened at the Triangle Square Cinemas in Costa Mesa this Friday, October 28th, at 7:00 p.m. Tickets are $25.00 with a popcorn and soda or $20.00 for the movie only. Proceeds from this event will go to the "socks4heroes" program. You can read more about this screening and about advance ticket purchases by viewing the flier HERE. Does Costa Mesa Share Anaheim's Dilemma? A tip of the old hat to Chris Prevatt over at The LiberalOC blog, who addresses an interesting subject that is being faced by the City of Anaheim - one that has potential impacts here in Costa Mesa. In his piece today titled "What's The Matter With Anaheim? ", HERE, he expands on an excellent investigative piece written yesterday by Adam Elmahrek at the Voice of OC yesterday, HERE, concerning potential, and probable, conflicts of interest within the Anaheim Planning Department. It seems a contract plan check supervisor had been routing significant volumes of work to his actual employer, plan check consulting firm Charles Abbott Associates. I don't know if such a situation exists in Costa Mesa, but we have so many contractors now working at City Hall in so many departments and wearing so many different hats and so many members of the regular senior staff that would ordinarily be overseeing their activities have departed, that it seems like the kind of malfeasance referenced in Anaheim could easily occur in our city. I find myself wondering just what kind of checks and balances are in place in Costa Mesa to keep this kind of stuff from happening. Are those few senior managers left reviewing the work of contract employees carefully? Some of the contractors came aboard with no-bid arrangements, apparently based on previous associations with members of the senior staff. We assume there are friendships involved there, so just how much "supervision" will senior managers be giving to "friends"? 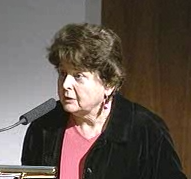 Resident and former city empl oyee Eleanor Egan recently pointed out a discrepancy in the contract of one of our current cadre of contractors at two city council meetings, and asked CEO Tom Hatch for clarification. It's unclear whether she ever received a response, but it dealt with this very kind of situation. I joked many months ago that, in it's haste to flush out all the pension-bearing employees, our current city council majority's idea of the perfect city staff would be Hatch and a half-dozen contract administrators. It seemed funny at the time, but now it certainly seems like we're on a road to that destination, so any holes in the oversight procedures for contract employees need to be patched up immediately before we get ourselves into the kind of situation Anaheim finds itself in today. According to Prevatt, their city council will apparently address this issue in the very last item on the agenda for their meeting tonight. 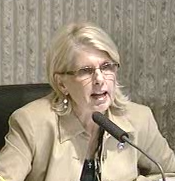 It's titled, "Discuss the existing policies and procedures governing the City's contracting and purchasing authority"
I think it's important for this subject to be dealt with immediately in Costa Mesa, since we are now beginning to see responses to the outsourcing RFPs being returned and will soon be undergoing evaluation for possible implementation. If we don't get a handle on just how all these contracting companies will be managed right now, the city could lose lots of money by inadvertent or intentional bad acts by contractors. 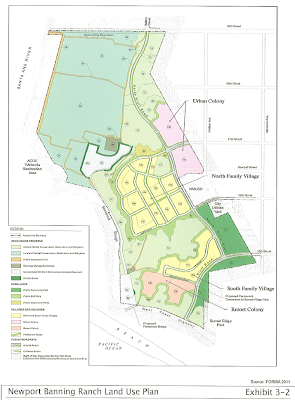 As you know, last Thursday the Costa Mesa City Council hosted a joint Study Session with the Costa Mesa Planning Commission and Parks and Recreation Commission on the proposed Banning Ranch development in neighboring Newport Beach. Members of the Newport Beach Planning staff, representatives from the developers and the opponents of the development all were provided time to make presentations and a snippet of time was also provided for public comments. The meeting was originally scheduled to be held in the Costa Mesa Police Emergency Operations Center (EOC) at the adjacent Police facility, but was changed at the last minute to the City Council Chambers in anticipation of a large crowd. That was a good move because there were more than 150 people in the auditorium for most of the meeting. Based on the crowd responses during the evening, I'd say most of those in attendance were against the development. 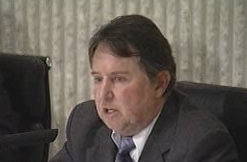 Costa Mesa Mayor Gary Monahan ran what was certainly the most crisply-conducted meeting I've ever seen in the chambers in a decade of watching these things. 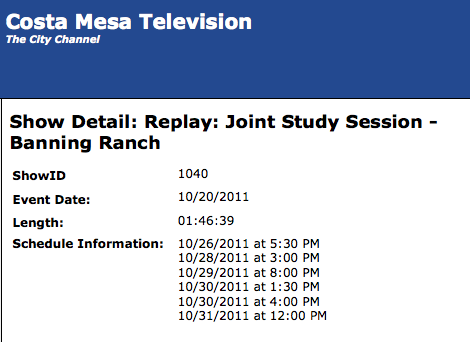 Although it started 15 minutes late, he kept it close to the schedule and it finished at 6:45. You can view the streaming video of the meeting HERE. You can also read Mike Reicher's Daily Pilot coverage HERE and Sean Greene's Orange County Register report HERE. Fourteen people filled out speaker's cards, so Monahan allocated the 15 minutes available for Public Comments - one minute each - and it worked. The comments were crisp and to the point. Most opposed the development. We also learned that there was, at one time or another, 480 oil wells on the property and that there are currently 80 active wells pumping. There are 40 miles of pipeline criss-crossing the slightly over 400 acre property. It will take at least $30 million to clean up the site and the owner of the mineral (oil) rights will eventually be restricted to 17 acres in two sites, from which they will be able to "slant drill" using contemporary technology. I tried to imagine being the owner of one of those lovely, very expensive view homes and wondered how I'd sleep at night knowing the area is honey-combed with pipelines and drilling may be going on directly beneath my house. We were told that the traffic impacts on Costa Mesa would be around 15,000 trips per day, distributed on 19th Street, 17th Street, 16th Street in Costa Mesa and 15th Street and Pacific Coast Highway in Newport Beach. According to a subsequent report by Costa Mesa Interim Assistant Chief Executive Officer Peter Naghavi, 65% of the traffic will end up departing the project via Costa Mesa streets. When Naghavi made his presentation he told us that the bulk of the Costa Mesa traffic would end up on 17th Street - 75% - and that the rumored resurrection of a 19th Street Bridge over the Santa Ana River was not part of any discussion of the Banning Ranch Development and the traffic impacts of such a bridge were not included in his projections. 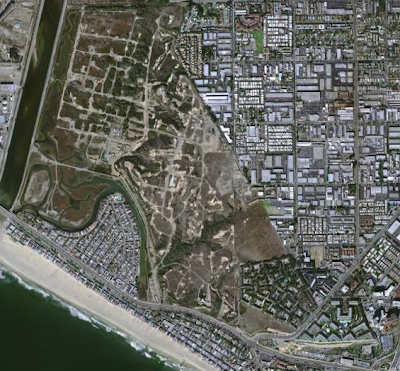 One thing was very clear, though - Newport Beach gets the meat of this project - new view homes and parks and the sales tax and property taxes that go with them - and Costa Mesa gets the gristle and bone - the traffic. The vast majority of the traffic will end up on Newport Boulevard, most likely heading for the 55 Freeway - already Costa Mesa's most heavily impacted arterial and the subject of it's own traffic manag ement plan. Naghavi's presentation included many mitigation alternatives, but it's too detailed to present here. They studied 31 Westside intersections and determined that seven would be most severely impacted: Monrovia at 19th Street; Pomona at 17th Street; Newport Blvd at 17th, 18th, 19th and Harbor Blvd and Superior at 17th Street. According to city staff, currently 19th Street in the area from Newport Boulevard to Park Avenue carries approximately 32,000 cars per day - most of it too and from the freeway. If a 19th Street Bridge was to be built, it is projected to add another 24,000 cars to that segment of roadway - without the Banning Ranch impact. Naghavi did indicate that it would be possible to stop the Bluff Road at 17th Street, eliminating 19th Street entirely as a access point to the project. That just shifts the 10% of the traffic anticipated for 19th Street to other sections of roadway. The discussion for the Banning Ranch Conservancy - the group opposing this project for a dozen years - was led by Dr. Terry Welsh, a pathologist and president of the organization. Quite frankly, his presentation and response to questions posed by members of the City Council was best described as weak. He did outline the environmental impacts of the development, including fragile habitat for birds, fairy shrimp and other forms of wild life. There is no doubt that, despite leaving a significant portion as open space, there will be a large impact on the environment. However, when politely grilled by the council, Welsh had virtually no answers - many of which you would expect after a twelve year fight on this issue. For example, he told the council and audience that they hoped to fin d enough funding - but couldn't tell us where it might come from - to spend $19 million to purchase the property "as-is". That is, in an un-mitigated condition. Many on the council fancy themselves as "numbers guys", and they certainly couldn't understand how the Conservancy could come up with $19 million to purchase it, then another $30+ million to clean it up. Welsh didn't provide any answers, either. Clearly, we are a long, long way from seeing this project launched. However, assuming it will, eventually, be built, there's going to have to be a lot of conversation and negotiation between the cities of Costa Mesa and Newport Beach about the traffic impacts on the Westside of our city. 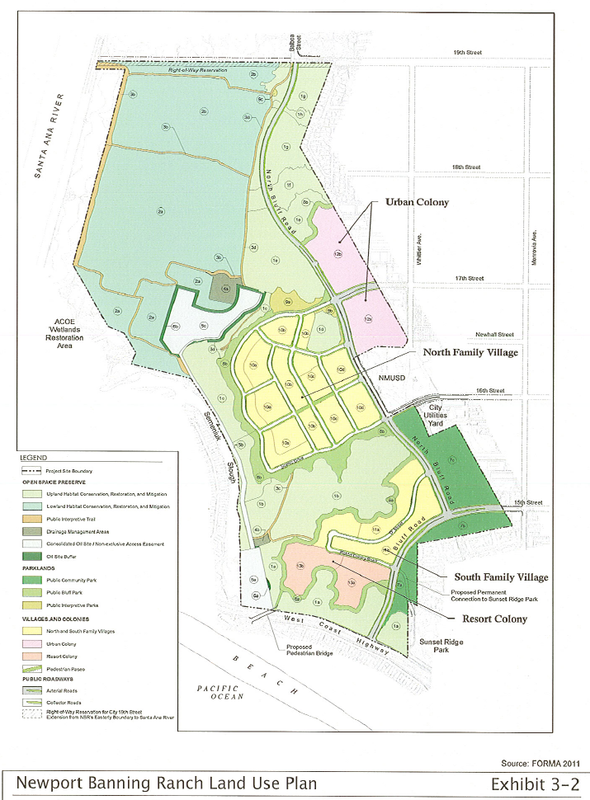 WHAT ABOUT THE "WESTSIDE PLANS"? Also lingering in my skull is the hoped-for revitalization of t he Westside. The plans we've seen for the past half-dozen years that were so carefully hammered out by previous councils and citizen groups present many opportunities when the economy finally turns around and development dollars free-up again. Most of the plans include some retail elements and retail sales require traffic past their stores to survive. The development of Banning Ranch as an upscale enclave right on our western border could provide plenty of shoppers for new, upscale shops along 19th Street. That doesn't seem to be so bad to me, but has gotten no conversation in this plan. I'm sure the Banning Ranch will come up at council woman Wendy Leece's Town Hall meeting, scheduled for November 9th at Pomona School. Details of that event are pending. I'll report more when they become available. Leece had to recuse herself from the meeting last Thursday because her home is within 500 feet of the property line of the project. Costa Mesa, California - The City of Costa Mesa has hired a negotiator to lead labor talks with its employee associations, City Chief Executive Office Tom Hatch announced today. In recent years, Costa Mesa’s chief negotiator had been the City’s administrative services director. Richard Kreisler, a partner with the Los Angeles-based Liebert Cassidy Whitmore law firm, spent the first 14 years of his 35-year career representing police and fire associations. For the past two decades, he’s worked with public agencies on a wide variety of public safety issues, including labor negotiations. He will charge the City $300 per hour. “The employee contracts represent, by far, the largest expense in the City’s budget, and hiring a professional negotiator to help us during these challenging times is a cost-effective investment for the Costa Mesa taxpayer,” said City Chief Executive Officer Tom Hatch. Per the City’s Council direction, Hatch has asked the six employee associations representing City employees to renegotiate their existing contracts to help Costa Mesa financially withstand the economic downturn that’s adversely affecting local governments. And the City is currently negotiating with the Costa Mesa Firefighters Assn., which agreed last October to have its members contribute 5% of their CalPERS-eligible pay to their own pensions for one year. This contribution is set to expire next month. If you click on that lin k to Richard Kreisler's name you'll find a very impressive list of credentials, including MANY assignments as chief labor negotiator for several municipalities. As each day passes it becomes more clear that this current city council, led by the carpetbagging opportunist, Jim Righeimer and his non-elected bully buddy, Steve Mensinger, is serious about emasculating the employee bargaining units and are willing to pay $300 per hour to a hired gun to do it. Don't get me wrong here. I really like the new tools being used to provide positive information to us. But no matter what kind of feel-good news this regime presents in the Costa Mesa Minute, with timely important news each morning, and on the CEO E-Briefing, complete with Michael Josephson "Character Counts" words of wisdom, the true colors of this council show through in their actions. We've seen Righeimer frequently praise the city employees on one hand, then do whatever he can to get rid of most of them. I'm going to be very interested in seeing just what kind of response this evoke from the bargaining units. I doubt seriously that they will meekly roll over and open their contracts. I know that many of them feel that would be a huge tactical error, one that would allow this administration to gut the contracts. The hiring of Kreisler only seems to affirm that apprehension.